Read our interview on the How We Montessori blog! 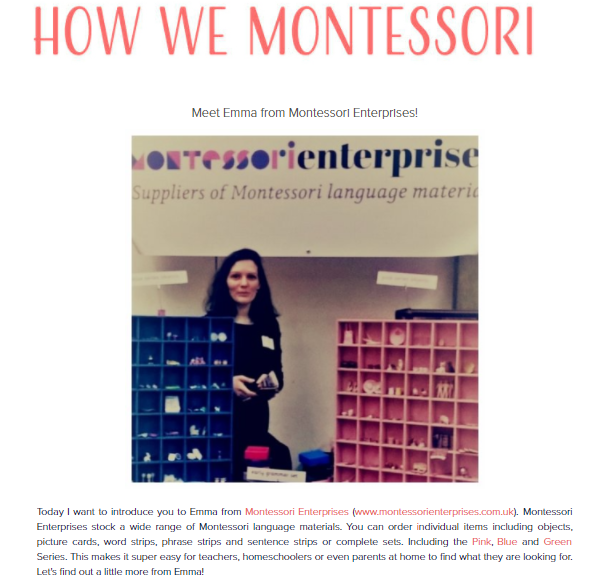 We are thrilled to be featured on the 'How We Montessori' blog today. If you want to find out more about us and what we offer, you can read our interview here. Thank you to Kylie for asking some great questions and supporting the Montessori community with your beautiful and informative blog. Joined up font now available on all printed materials!